My parents are in town for a couple of weeks. 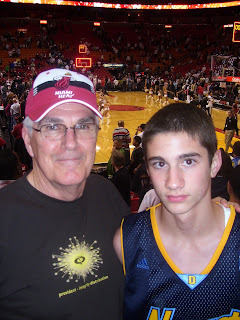 Last night I took my father and son to a Miami Heat game. It's about an hour drive from our house to downtown Miami. 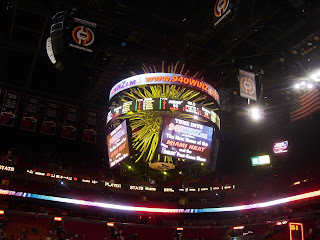 Miami was playing Atlanta. 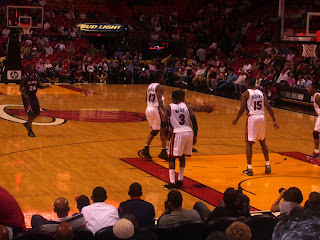 Dwayne Wade (#3 in the pic below) is a beast. He is currently the leading scorer in the NBA. He has one of the smoothest jumpshots I have ever seen. He put up 35 points last night. Enjoyed spending time with my father and son. 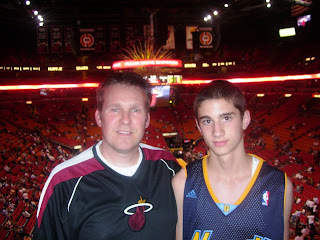 It was one of those...NBA tickets - $150 dollars...spending time with your family...priceless! 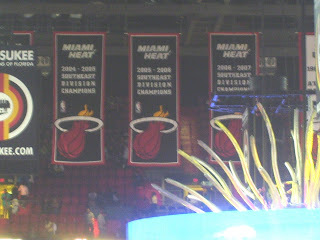 Here are some pics I took while at the game. Hey Dale! Love the blog!